Strange thought, Aflatoxin from peanuts? Shock from empty feeder? Not sure i bought it home, but now you've said that I'll have a look in its throat? 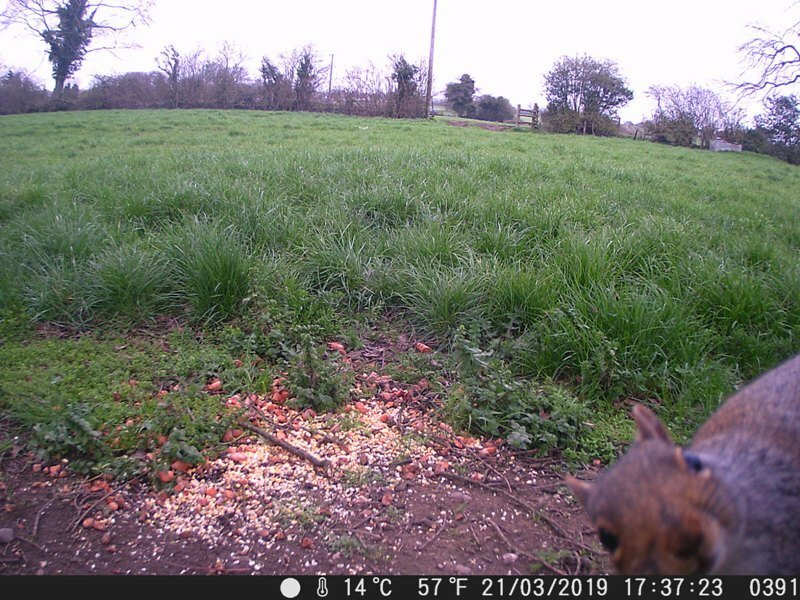 Put some chopped carrots and maize out to try and pull the munties out but thanks to the camera found that the squirrels had found it and were not coming to the flip top 50yrds away. Will be there at dawn tomorrow with finely tuned 17HMR as I have a high seat 50yrds away. At least two showing all day. If it's within 15yrds or so, any break barrel air rifle .22 or .177 will do the job. Just have a few shots on target to get the rifle spot on and then headshot. hi sam ive just got a 177 gamo spot on for head shots verry pleased with it does the job also gamekeeper verry happy hopefully more song birds will benefit regards. Cage trap might be an idea?? Seems strange if there about, what sort of baits have you tried? Fat balls and peanut butter normally brings them in. 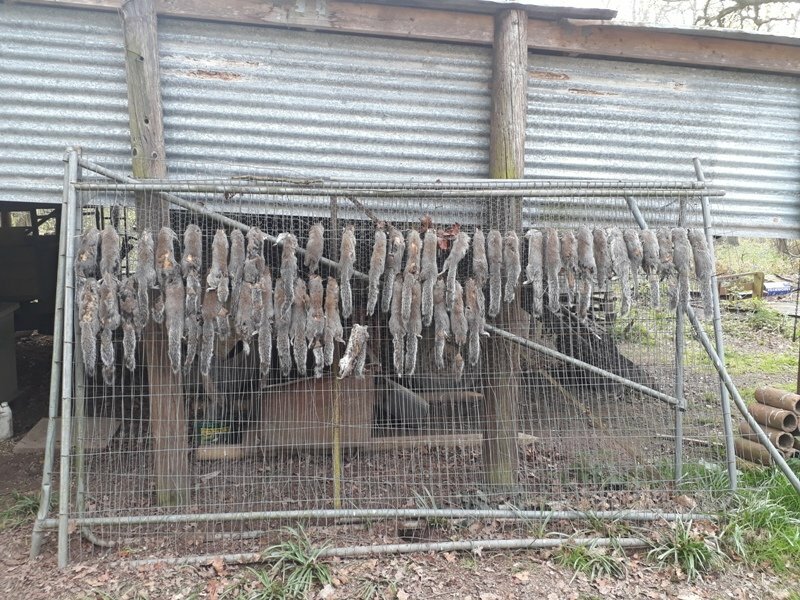 All the usual stuff that they feed on from bird table seeds nuts , caught a few rats in them from around chicken coupe before mr fox bit off all their heads and left them ,had to kill rats in cages which maybe why they won’t go near them ,I don’t know ! Won't be the rats I've done the same having caught squirrels and rats. I have my trap set on a board so it doesn't move about when the squirrel goes in, others have said cover the trap in black plastic as this puts birds off from going in. I have 9 cages out and have made bird peanut feeders at the far end , the small birds can come and go and act as decoys I believe. Have caught many many tree rats in them. I use peanuts as a bait/feed for birds. My small 10 acre wood is now virtually squirrel free but cost me a fortune feeding the songbirds but I don't mind that. If a squirrel shows up it is normally dispatched within 48hrs as it gets caged or attracted to the food and dies of lead poisoning. Get some peanut feeder wire mesh and make a full width box about 1 1/2 inches wide and top to bottom of the cage. Put the peanuts in this and the activity of the birds will draw the squirrel no problem. All of my cages are mounted on posts about 3ft high with a piece of ply as a table. I have been to look at a new pheasant shoot today and got speaking with the keeper, he pointed to this little array ...50 I believe, shot on his pheasant feeders. Reticent to actually book on the the forum himself wishing to remain annon. Would I be cheating if I added his for him ? I counted 48. Nope, wacked , racked and counted, add them on.